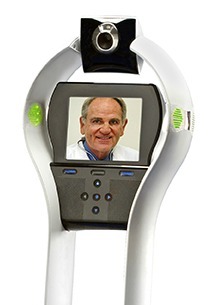 NASHUA, New Hampshire & Austin, Texas – May 6, 2013: VGo Communications, the leader in robotic telepresence, at the American Telemedicine Association’s annual conference, announced that Dr. Eugene Spiritus, has joined VGo as its Chief Medical Officer. Dr. Spiritus will overlay his more than 40 years of medical experience in the building of healthcare relationships. A board certified Internist and Pulmonologist, Dr. Spiritus has served in senior management roles including Chief Medical Officer at UCI Medical Center and Chairman of the Department of Medicine at St. Joseph’s Hospital. He has developed innovative processes, deployed advanced technologies, and engaged as an investigator in multiple clinical trials. For three years he worked as a healthcare consultant for KPMG Peat Marwick. A true entrepreneur, Dr. Spiritus also has founded multiple of organizations with a wide range of scope including home health, a multispecialty practice and medication management program. VGo Communications, Inc. develops and markets visual communications solutions for the hospital, home, school and workplace. VGo has leveraged the recent trends of widespread wireless networks, lower specialized component costs and the universal acceptance of video as a communications medium to become the Robotic Telepresence market leader. With the VGo solution, an individual’s presence is replicated in a distant location such that they can interact and perform their job in ways not previously possible. Now they can see, be seen, hear, be heard and move around in any remote facility – just as if they were there. VGo enables: healthcare providers to deliver lower cost services and improved quality of care, businesses to increase productivity of remote and travelling employees, and homebound students to attend school – all with a great user experience and at an affordable price.